The weight loss industry revenue hit $25 Billion in 2015 with over 110 million people struggling to loose weight. It was always thought scientists would eventually invent the Magic Weight Loss Pill, but it never became reality. With increasing pressure by social media and celebrities, 85% of women were desperate to have (what society thought) was the right looks and acceptable weight. Societies new form of bullying were demeaning heavier set women, causing an alarming spike in suicides. In one incident alone, a group of teenage girls band together to make the ultimate statement. On July 4th 2020, eighteen young women ended their lives, distraught over the pressures of society. An immediate outcry was launched. Millions of women took to the streets, protesting against worldly governments officials, saying they weren’t doing enough to protect women against bullying tactics. They demanded a change to years of forcing them to look and act like Barbie Doll figures. Even after centuries of women fighting for equal rights in Canada, United States and the UK, their voices were still being drowned out by marketing Ads and financial greed. The first Women’s Rights Collation was formed on May 30th 2021. Bill 409 was introduced into the United States Congress, making it illegal to treat women unfairly. Everything from equal pay to any form of demeaning tactics were prohibited with serious consequences. Ad companies weren’t allowed to photoshop models or perceive what the favourable woman should look like. It was said to be a brand new era. Everything was going as planned. Women were happier with the way they looked. But, curiously, the weight-loss industry still thrived, making a record increase in revenue of over 40 billion dollars. Men and women were still conscious of their weight. Societies perception really didn’t change. It was just an illusion. On January 10th 2023, a prominent Plastic Surgeon, Dr. Howard Savage (a leading cosmetic genius and board member of the American Society of Plastic Surgeons) found his teenage daughter fighting for her life, after a botch liposuction procedure. His daughter had it performed without the doctors knowledge. After 3 months in a coma, his daughter died. Devastated, Dr. Savage vowed to find a safer form of weight loss control. Like a mad scientist, he sheltered himself from all outside communication, determined to find an acceptable form of weight loss. After 5 years of clinical trials, Dr. Howard Savage announced his new form of weight loss. He called it, The Coma Weight Loss Program. On August 20th 2028, the public were introduced to Dr. Savages innovative weight loss program. It wasn’t long before you saw leading weight loss commercials on screens throughout the world. Are you finding it hard to loose weight? Do you feel unappreciated and unhappy? Do you find, no matter how you try, your weight loss program is failing ? Do you wish for a safe alternative? Well, you won’t have to wait any longer! Introducing the all new COMA WEIGHT LOSS PROGRAM by the esteem Plastic Surgeon, Dr. Howard Savage! NO more of those tedious months, or EVEN YEARS, desperately trying to loose weight! The COMA WEIGHT LOSS new innovative program is easy as 1-2-3. In only 3 miracle steps, YOU will be off to a NEW YOU! Look how easy it is? FIRST – You make an appointment with Dr. Savage and his experienced team of experts. SECOND – After a thorough examination by Dr. Savage, YOU will be placed in a STATE-OF-THE-ART Weight Loss Bed. A relaxing cushioned salt water bath, designed to make you seem like your floating in space. THIRD – Dr. Savage will administer a special drug, placing you into a deep coma for a period prescribed personally just for YOU! AND – DONT WORRY ! Dr. Savage’s most competent team of experts will carefully monitor YOU day and night. After only a short term of only a month or less, under the COMA WEIGHT LOSS PROGRAM – YOU will awake as a brand new person! Don’t delay! Ask for today’s LIMITED PRICE right now! AND, If YOU CALL right now, YOU will receive $3000 off the regular price! So, STOP all the worrying of trying to loose weight! Forget those failing weight loss programs. Get into the new improved COMA WEIGHT LOSS PROGRAM – TODAY! Remember- it’s easy as 1-2-3! CALL NOW! The information provide in this ad, including our website is for general informational purposes only. It is not intended as and should not be relied upon as medical advice. Always contact your personal physician before any weight loss program. Your individual health may not be suitable and may be a health risk. Any information is at your own risk and you specifically waive any right to make any claim against Dr. Howard Savage or The COMA WEIGHT LOSS PROGRAM INC or its officers, directors, writers, employees, pets, wives, girlfriends or representatives as the result of any outcome, whatsoever. Depending on your personal health situation and or condition, this program may be detrimental to your overall health. Side effects may include headaches, loss of bladder control, nausea, vomiting, dizziness, liver damage, falling off limbs, and even death. Do not attempt this procedure while pregnant or suffering from any past medical procedure, or have any kind of history related to heart disease, or any other diseases. Please consult your physician or give Dr. Savage a call today! Texting, or use of your cell phone may be charged an additional cost, depending on your plan. The overall cost of The Coma Weight Loss Program, not including state and federal taxes is $100,000. Refunds are not accepted. A down payment of $35,000 is required at time of appointment, with two additional instalments, there after. Additional check ups by Dr. Savage is an additional charge of $1500 per visit. It’s recommended you have at least 10 visits after your procedure. All sales are final. The Coma Weight Loss Program became a over night success! Dr. Howard Savage received the Noble Prize on May 5th 2030 for inventing the worlds first effective weight loss program. To date, he has saved over 50 million people from death and a brand new improved lifestyle. It wasn’t until three years later, when KGYC NEWS NOW, from New York City reported the Coma Weight Loss program was doing an illegal procedure on the side. Dr. Howard Savage and his Coma Weight Loss Program came under scrutiny, when it was discovered, his employees were selling patients organs onto the black market. Dr. Savage’s team of lawyers would refuse to comment further until his rightful day in court, only stating,” Dr. Savage is redeem innocent until proven otherwise. We will without a doubt prove him innocent of all charges.” End of quote. It was rumoured, patients were allowing non-threatening organs to be sold, to enable to pay for their procedure. But, it became such a lucrative business on the side, greedy employees were selling all their organs. Of course, the patient’s death certificate only stated, organ failure. In the end, did society as a whole ever learn their lesson? Men and women were still being perceived by the way they looked. Would it ever change? My science-fiction story would make a great short indie film. And I hope you can appreciate my scifi dark humor. As a freelance screenwriter, my writing tasks require working on more than one script at a time. 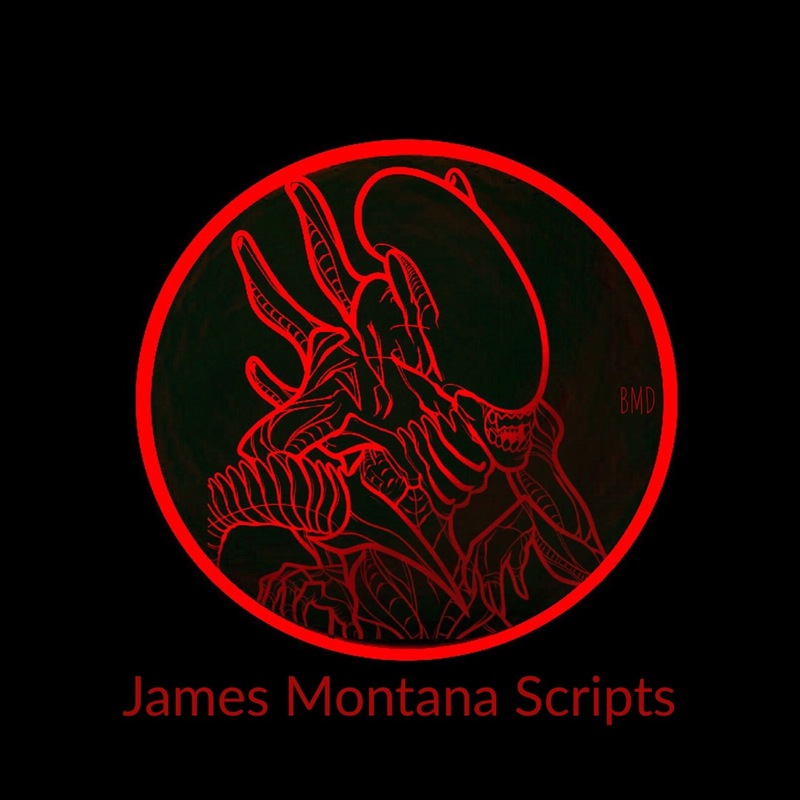 My script, “Black Angels” is a SciFi horror genre great for anyone who loves CGI special effects, a strong storyline, action-pack thriller and makes a perfect fit for the movie screen. Making Black Angels is without a doubt a costly adventure, bringing it to the large screen, hopefully as a Blockbuster. The reality in producing film today requires a strict budget, making Indie Films the most probable choice. Too many times lately you hear of a large budget film going bust. It’s an eye-opener to the film industry. The competition verse Indie Films and Blockbusters are turning the movie industry upside down. Indie Films are not new, with Robert Redford’s Sundance Film festival just celebrating 30 years featuring thousands of successful films. In order to be competitive within the film industry, screenwriters are pushing out as many short scripts as they can. The format scripts for screen are roughly between 20 – 100 pages long (one minute screen = one page), depending on story. Each screenplay has three sequences, beginning with introducing the Protagonist,( the hero),who displays some kind of flaw. You have to explain their world they are live in and the dramatic situation. Towards the second sequence, you let the viewers know the predicament, which leads the MAIN Antagonist, (the villain). It gets to the point where your hero must make a “life or death” decision ; turning back is not a option. The hero must now head forward with his choices, good or bad. The stakes are high and the viewer is glued to the tension, ready to go overload. The third and last sequence of your storyline, ” What must the Protagonist sacrifice? ” Will it end well or in complete disaster ? And is there any twist to end your story ? The ending should leave your audience in awe sending the story viral. Indie films are budget conscience and viewers love seeing them. The stories are short with a meaningful strong message. The “Indie buzz” at Film Festivals is apparent amongst actors, directors and producers. It’s becoming too oblivious, too many “movie goers” are falling short, due to competition with your local cable provider, including Movie Central and the Internet. The competition will change the way we view movies; it’s a new era in film. One of my scripts I’m working on lately is based on a true story, called,”Missing”. It’s about a young Hunter, up in Williams Lake, B.C. who went missing for over 16 hours in the wilderness, only to be hunted by a 800 lb Grizzly. It’s an intense “action-drama” screenplay where the viewer wonders the fate of this young Hunter. It’s perfect as an indie film. If you’re looking for a big blockbuster film ? War Hero Commander Cardin is forced to re-colonize on a new planet, BLUE EARTH, before their species is destroyed along with a darker threat, BLACK ANGELS. 100,000 years ago, the SIRIANS began its journey,changing life on Earth, forever. Escaping their dying planet SIRUS 5, King Osiris order his elite Emperor Guards under General Jason’s command to take on the mission only referred to as BLUE EARTH. Leading the way is seasoned War Hero Commander Cardin who is torn between his duty and the recent loss of his brother. Complicated by his irrefutable love for Karen and their savage fight against rivals, the JOTUNN’S (Savage Reptilian-Humanoids) and an unknown creature lurking the planet, only known in folklore as BLACK ANGELS. Whatever is your fancy in films, I believe I have what you are looking for. 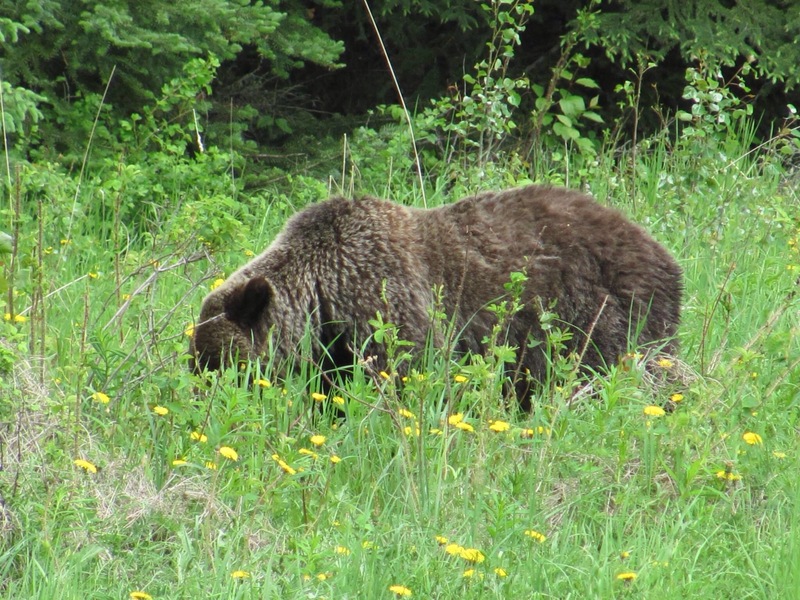 The below photo is a picture of a Grizzly my daughter took, while in Banff National Park in Canada. Myself, I have come up close and personal with a Griz, not by choice. It was indeed one of the most scary ordeals of my life.